It always surprises people when I tell them that I’m not a huge fan of doughnuts. Personally, I find them to be just a bit too much, and I can never eat an entire one! Homemade doughnuts, on the other hand, are hard to resist. Today, a friend of mine and I (shoutout to Dalya) decided to try out a doughnut hole recipe–and it went surprisingly well! 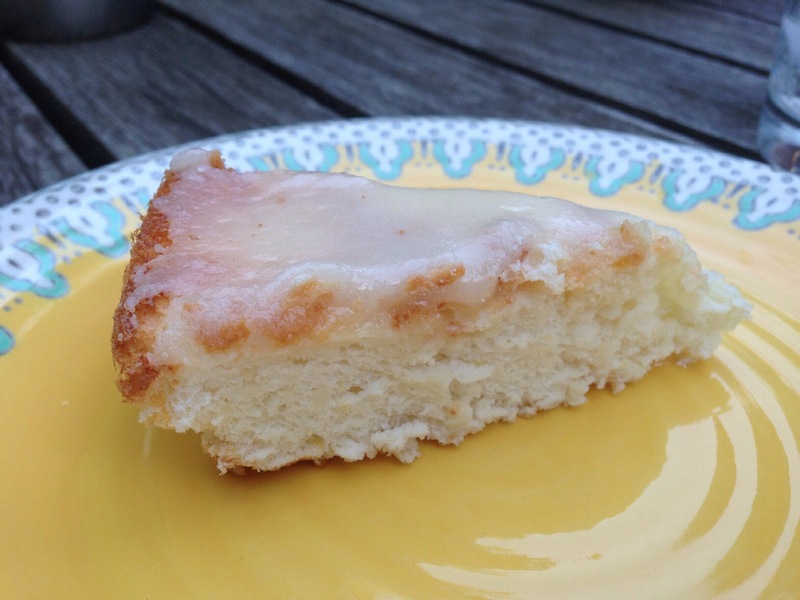 We loved the recipe and recommend them to everyone. You can find a recipe here. In the bowl of a stand mixer, combine flour, sugar, baking powder, nutmeg and salt. Add in milk, egg, and melted butter, and mix until well combined. Fill a large skillet or medium pot with vegetable oil, about 2 inches deep. Using a fry thermometer, heat oil to about 375°F. Make sure it stays around that temperature each time you fry the dough. Place cinnamon-sugar (mixed together) and confectioners sugar toppings in two separate small bowls. Set out several stacked paper towels next to the stove for drying the doughnut holes, along with a cooling rack with parchment paper underneath. When oil is ready, place about 5-6 teaspoonfuls of dough at a time in the oil and fry on each side for about 1 minute (2 minutes total). Remove from the oil and place on paper towel to soak up excess oil. 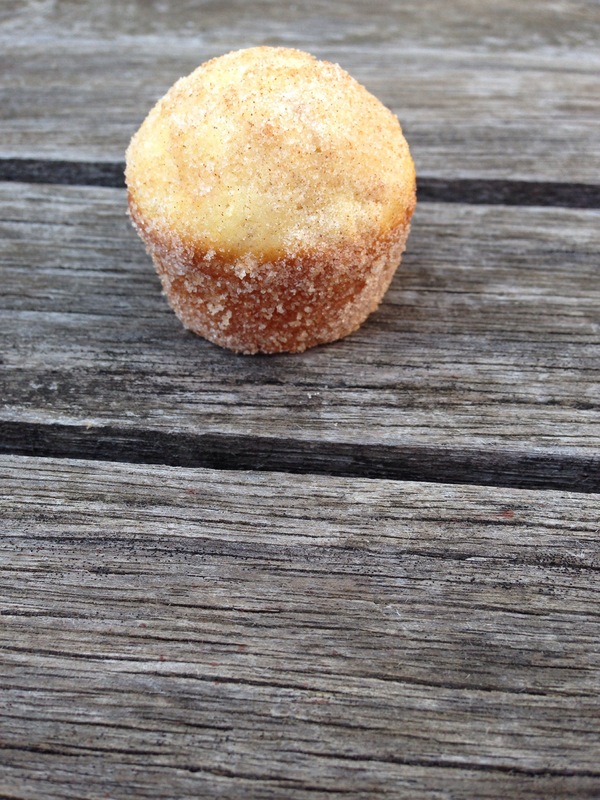 Then, using a fork, roll doughnut in either the confectioners sugar or cinnamon-sugar mixture. Then place on cooling rack to cool slightly before serving warm. We found the doughnuts easier to control when the oil wasn’t as hot; we accidentally burnt the first few. But it was overall a great success! I grew up in a house that was always full of tea (I am half English after all). If you open up the cabinet, you can find countless types: English Breakfast, Lemon Ginger, teas to calm the nerves, etc. But above all other teas, my cabinet is always stocked with a ton of Earl Grey. Today I was sifting through some recipe books of mine and found this recipe in The Vintage Tea Party Book by Angel Adoree, published by Mitchell Beazley. I love this book; it’s full of uniquely English recipes and tips and tricks for throwing a classic tea party. I posted another dessert from this book in 2013, which you can find here (you may note that my writing style has changed a bit…don’t judge too harshly). I can’t post the recipe here, however, I did find it online at this link. I would encourage you all to try it out, and to purchase the book if you’re interested in throwing a vintage tea party! Although I wish I had made the truffles less thin, I am happy with the outcome! Even though they’re not the neatest, they’re still tasty! You can clearly taste the Earl Grey flavor through the chocolate, and they’re the perfect treat to accompany a cup of tea. Preheat oven to 325 degrees F, with rack in lower third of oven. Sift flour and 1/2 cup sugar into a bowl. As I said, it is very confusing, but if you are able to understand it, I recommend it! I got the recipe here. When I was younger, I used to read a story called, The Bake Shop Ghost, by Jacqueline K Ogburn It told a story about a baker, who made the best cakes ever. She eventually passed away and came back to haunt her bake shop. Whenever new bakers would come to use her bake shop, the ghost would come and tell them to get out of her kitchen! One day, a new baker comes and the ghost tells her to leave. The baker asks her, if she can make a cake that the ghost approves of, will the ghost let her stay and bake. The baker tries many recipes, and the ghost doesn’t think they are good enough. The baker does some research about the ghost and then, makes her one more cake. When the ghost sees it and tries the cake, it brings tears to the ghost’s eyes. The cake is delicious, and written on the top, is a Happy Birthday! The baker had discovered that, that day was the ghost’s birthday. The ghost lets the baker stay, and it is a very successful bake shop. 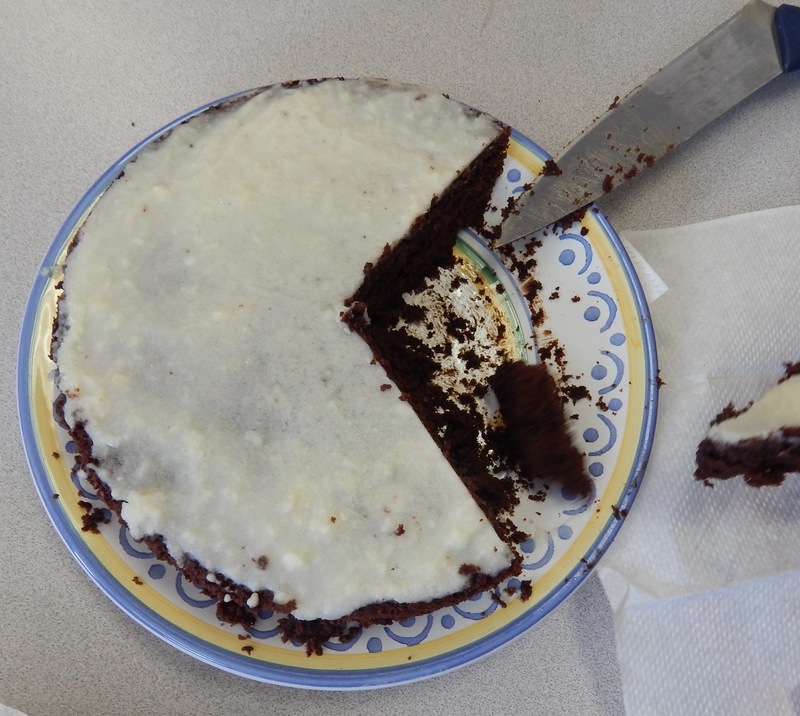 On the last page of the story, there is a recipe called Ghost Pleasing Chocolate Cake. It includes the recipe and a frosting recipe. If you ever come across this book, I recommend checking it out! 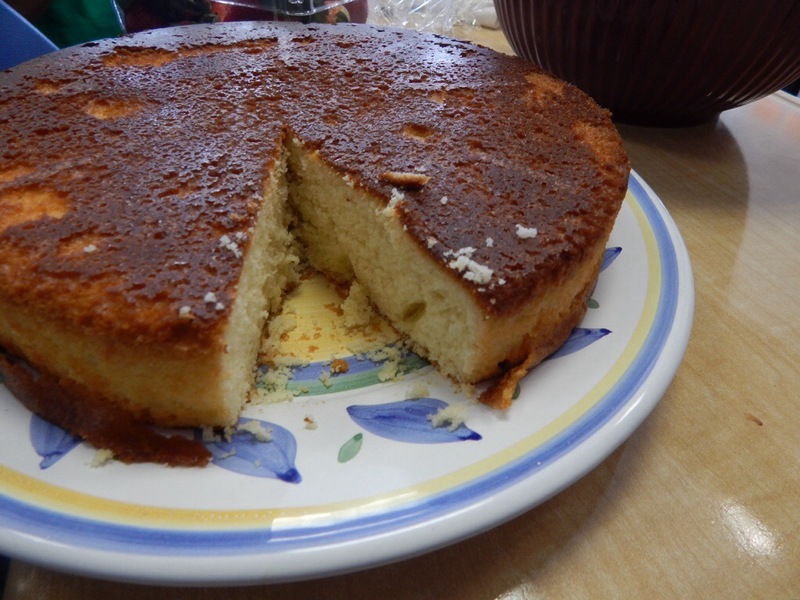 It’s a VERY delicious cake, one of my classmates even went as far as to say that it was the best cake she had ever tasted. It’s a very cute story, with a delicious recipe that I would recommend to everyone. 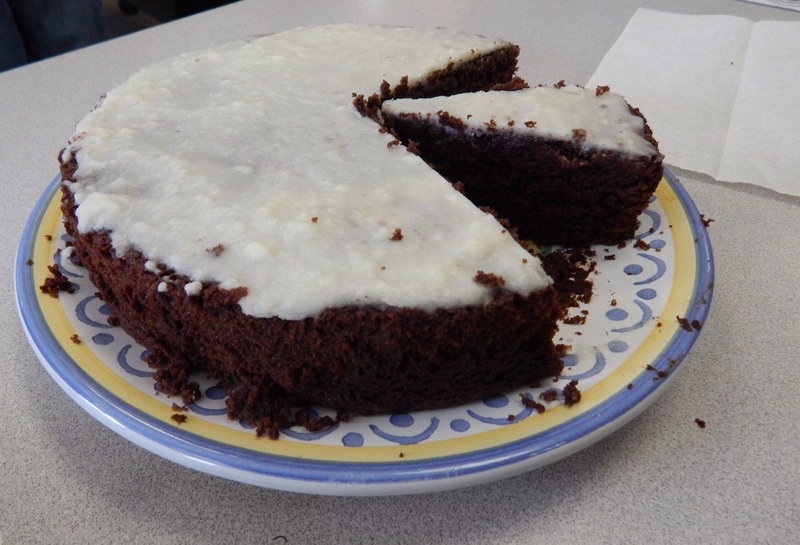 It’s not too difficult to make and it makes a lovely, light, chocolate cake. Preheat oven to 375 degrees. Place the rack in the center position. Generously grease a standard 12-cup muffin pan. In a large mixing bowl, sift together the flour, baking powder, salt, nutmeg and cardamom. In another bowl, cream the butter and sugar until light and fluffy. Scrape the bowl down half way through. Add eggs, one at a time, beating well after each addition. Spoon batter into the prepared pan, filling cups two-thirds full without smoothing the tops. 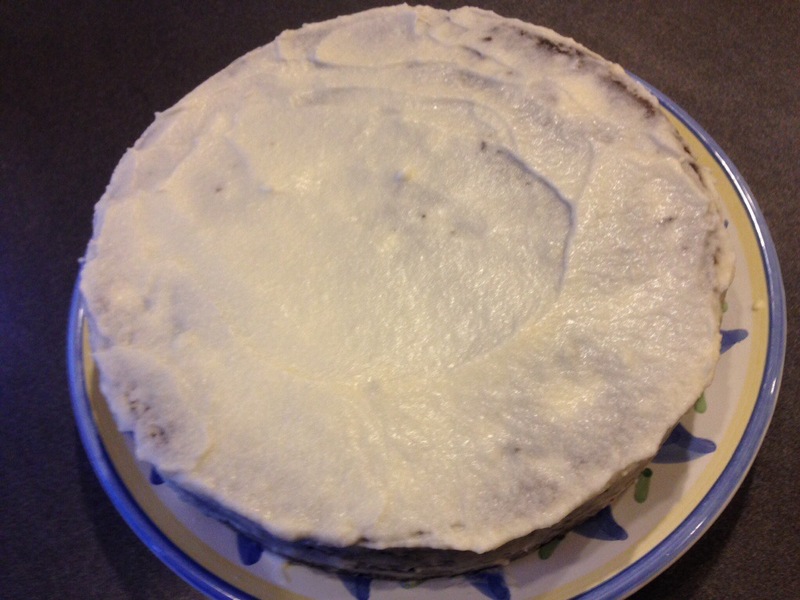 Bake for about 25 minutes or until a cake tester inserted in the center comes out clean. As soon as the muffins are cool enough to handle, turn them out onto a wire rack. Prepare the topping: Put the melted butter in a bowl. In another bowl, combine the sugar and cinnamon. Dip the muffins (tops, sides and bottoms) in the butter, using a pastry brush – if necessary – to cover areas not buttered by dipping. 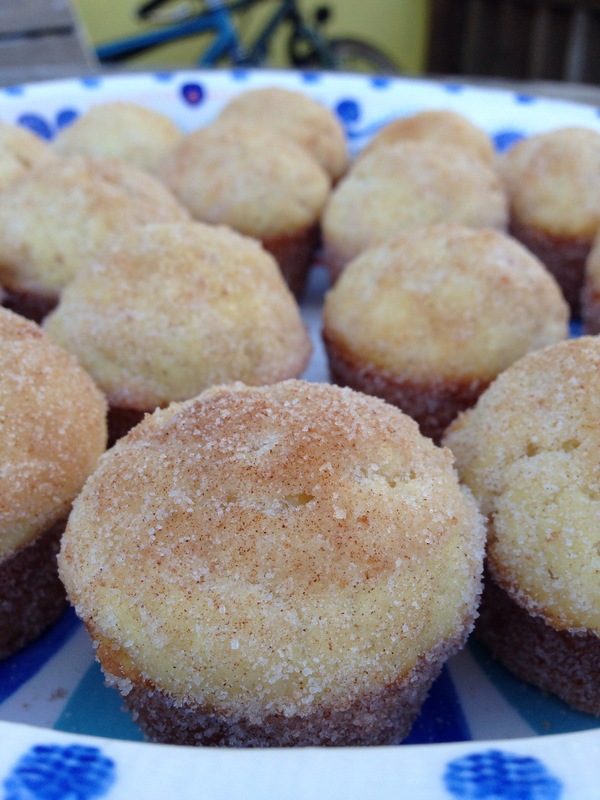 Immediately roll the muffins in the cinnamon-sugar mixture. Serve warm or at room temperature. If you try these, let me know! They are delicious! Hi everyone! 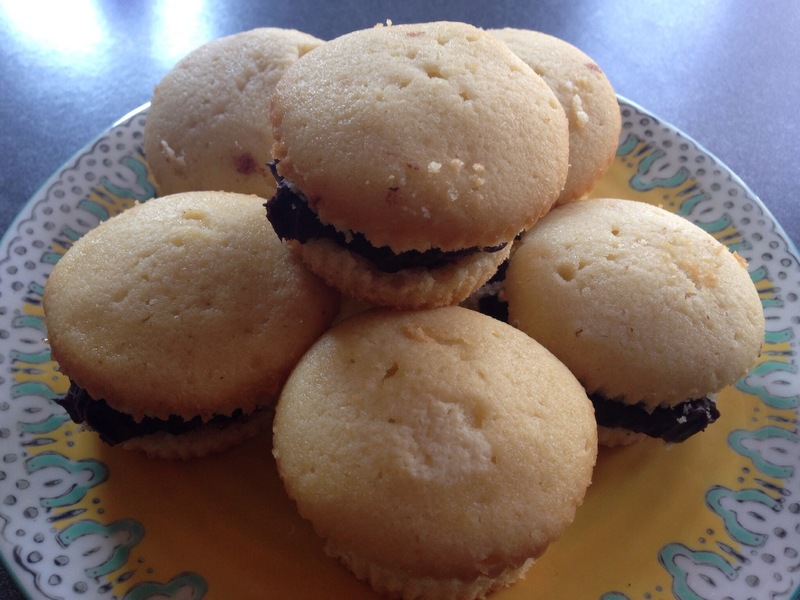 I recently made some cupcakes which were incredibly delicious, if you have the time, I really recommend both the cupcake recipe and the frosting. I decided to frost them in this particular way because, I had previously seen a very cute cupcake that looked like a hamburger with the frosting in the middle. I wanted to try that, but I didn’t have time to really make it look like a burger or add green frosting for lettuce or red for ketchup. 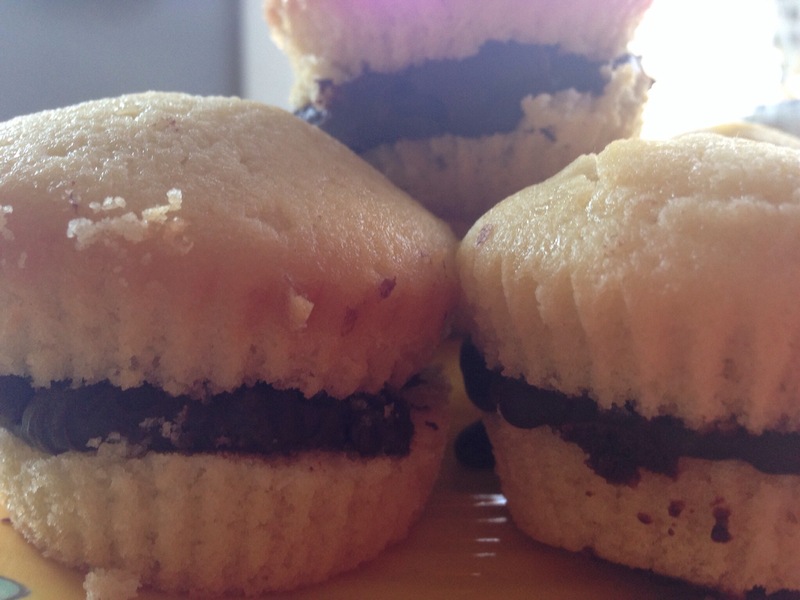 However, although they didn’t look like hamburgers, they tasted like great cupcakes. Whisk together flour, salt, and baking powder in a large bowl and set aside. Cream butter and sugar together in a standalone mixer with paddle attachment (or electric hand mixer). Add eggs, one at a time until blended. Add vanilla and beat on medium just until blended, then turn to low speed. Add flour mixture a little at a time until all of it is blended in. Mixture will be very thick. Add cold milk and set mixer to “stir” setting, or the very lowest setting possible. 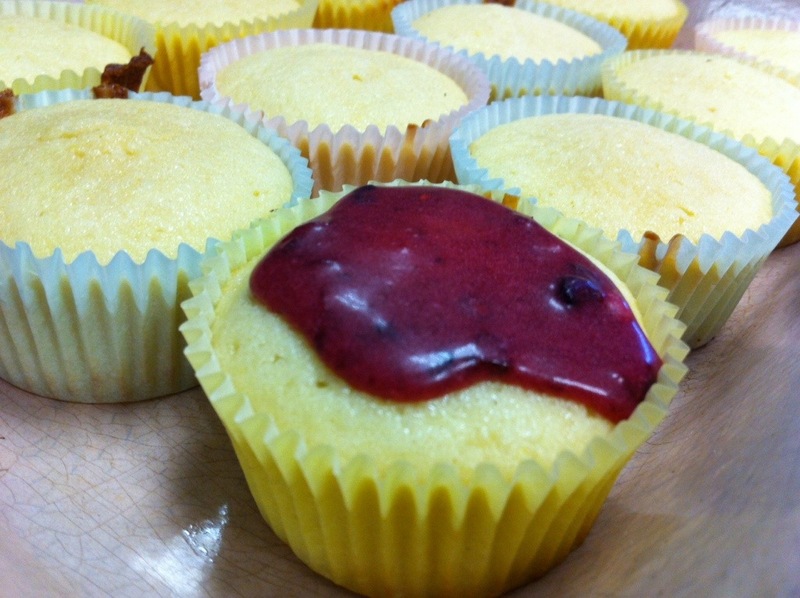 Once you have a homogenous mixture, use a large spoon to scoop batter into a prelined cupcake pan, filling each cup ⅔ full. Bake about 25 minutes, until toothpick comes out clean. Remove immediately and place onto a cooling rack to cool before frosting. It was very easy and delicious! Hello everyone! Wow, it really has been a while hasn’t it? Sorry about that, there has been a lot going on lately but I’m going to try to be posting more regularly starting now. It was a vanilla cake with a chocolate buttercream frosting. I made another chocolate cake recently as well. I love this recipe it is super moist. 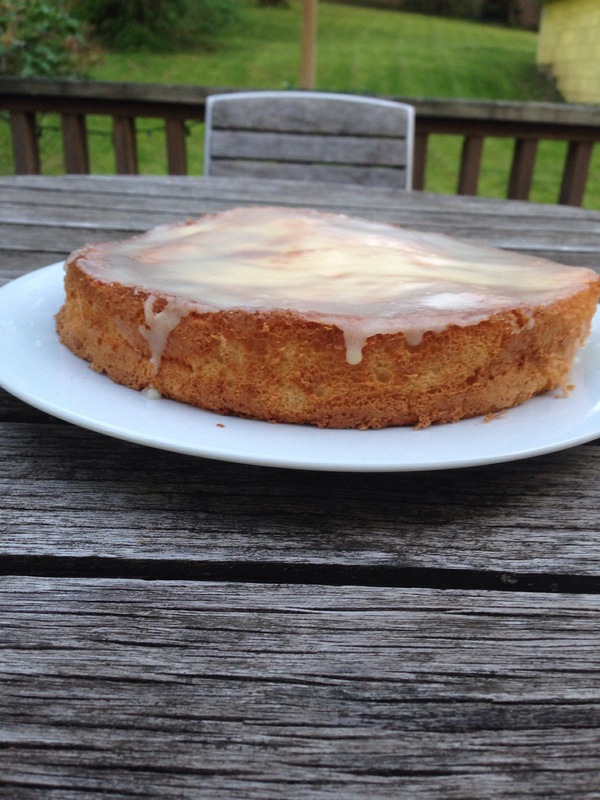 I may have shared the cake recipe on this blog before, but if you haven’t seen it, take a look! It’s great! I got the recipe here! Preheat oven to 350 degrees F (175 degrees C). Grease and flour a 9×13 inch pan. Sift together the flour, cocoa, baking soda and salt. Set aside. In a large bowl, cream together the margarine and sugar until light and fluffy. Beat in the eggs one at a time, then stir in the vanilla. Beat in the flour mixture alternately with the milk, mixing just until incorporated. Pour batter into prepared pan. Bake in the preheated oven for 40 to 45 minutes, or until a toothpick inserted into the center of the cake comes out clean. Allow to cool. For frosting a used a simple buttercream recipe! They were both pretty tasty! Hey everyone! 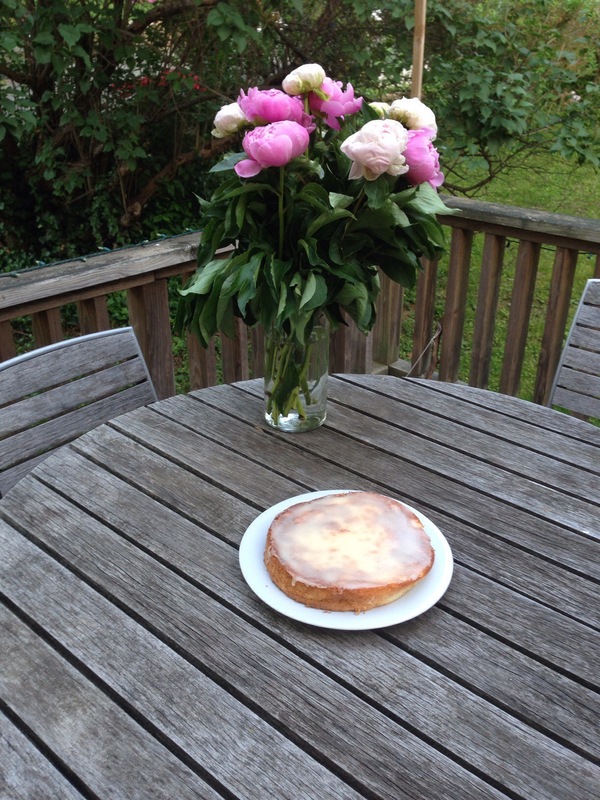 One of my favorite recipes when I was younger, was a strawberries and cream cake. It would be my birthday cake every year, and I loved it. I hadn’t had it in a while and I thought I would make something similar to it. 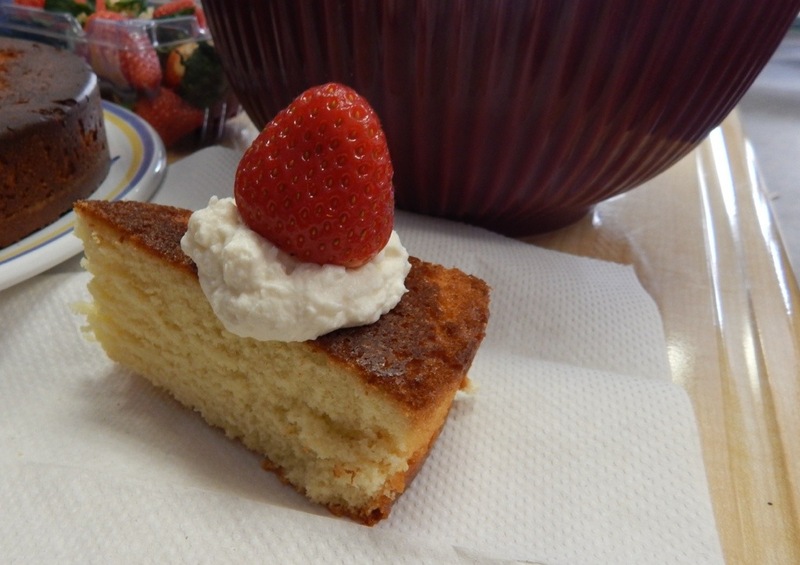 So I decided to make my classmates a sponge cake with homemade whipped cream and strawberries. Preheat oven to 350 degrees F (175 degrees C). Sift together flour, salt and baking powder. Set aside. In a large bowl, beat eggs for 4 minutes with electric mixer on high. Add sugar and continue beating until light and fluffy. Add flour mixture. In a sauce pan, bring 1 cup milk and 2 tablespoons butter to a boil. Add to batter and beat until combined. Pour batter into 9×13 inch pan. Bake at 350 degrees F (175 degrees C) for 1 hour, or until a toothpick inserted into the cake comes out clean. To make the frosting: In a saucepan, combine brown sugar, coconut, 6 tablespoons butter and 4 tablespoons milk. Heat and stir until butter is melted and mixture is smooth. Pour over cake as soon as it comes out of the oven. Put cake in the oven under the broiler and bake 3 to 4 minutes, or until icing is light brown. 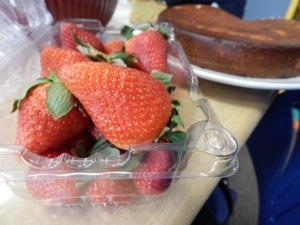 I then topped that off with some strawberries and it tasted somewhat similar to my favorite cake as a younger child. Thanks to Photographybyme for taking my amazing pictures! Preheat oven to 375 degrees F (190 degrees C). Line 30 cupcake pan cups with paper liners. Sift the self-rising flour and salt together in a bowl. In another bowl, beat the unsalted butter and sugar with an electric mixer until light and fluffy. Beat in the eggs one at a time, beating each egg until incorporated before adding the next. Mix in the vanilla extract and lemon zest. Gently beat the flour mixture into the butter mixture, one third at a time, alternating with half the milk and half the lemon juice after each of the first 2 additions of flour. Beat until just combined; do not over mix. 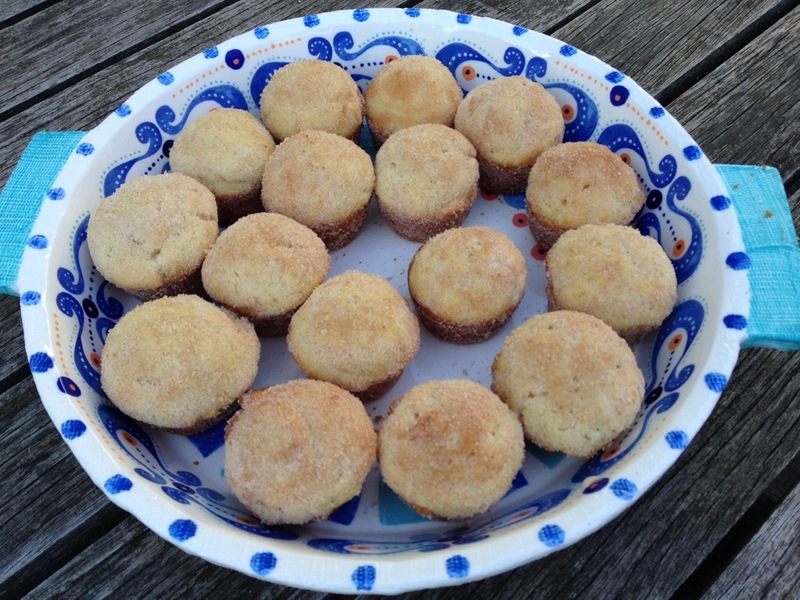 Fill the prepared cupcake liners with batter 3/4 full, and bake in the preheated oven until a toothpick inserted in the center comes out clean, about 17 minutes. 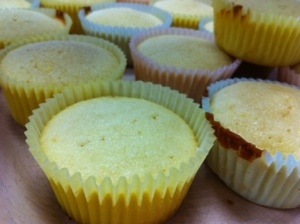 Let the cupcakes cool in the pans for about 10 minutes before removing them to finish cooling on a rack. My class seemed to like these as cupcakes. 1. 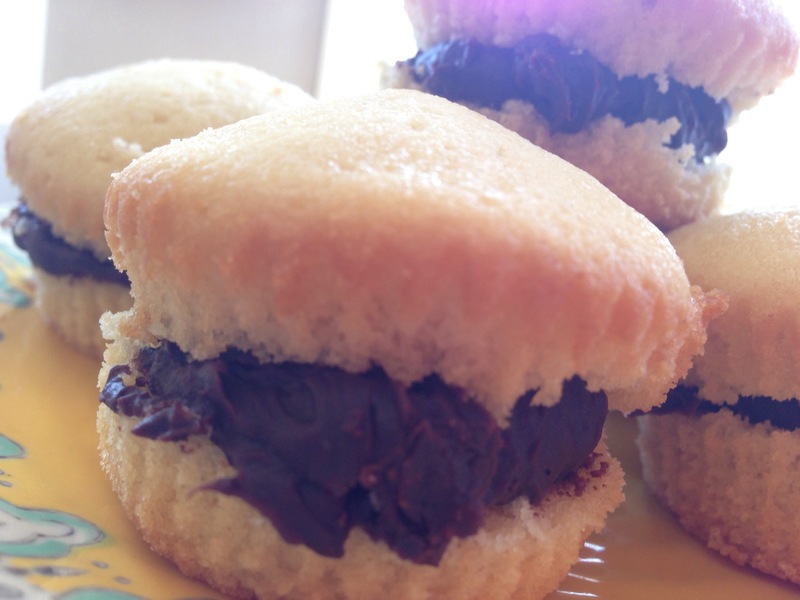 Beat first 5 ingredients at medium speed with an electric mixer until creamy. 2. Gradually add powdered sugar, beating at low speed until blended and smooth after each addition. 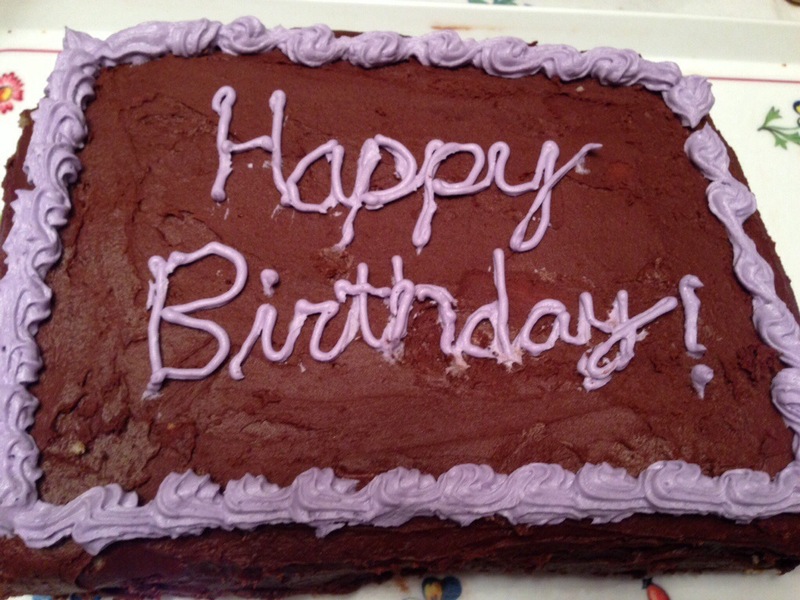 Note: Be sure to wash and thoroughly dry blackberries before adding to frosting. My classmates seemed to love this glaze.